William and Catherine joined Prince Harry as they officially opened the Global Academy, working with Heads Together to help people talk about mental health and wellbeing. The Global Academy is now officially open after a royal visit from the Duke and Duchess of Cambridge, accompanied by Prince Harry, that took place earlier this morning (April 20th). The visit began with a visit to our radio station Heart's production office as a live broadcast took place, before Harry visited one of the science rooms of the academy where students learn how radio waves are transmitted. 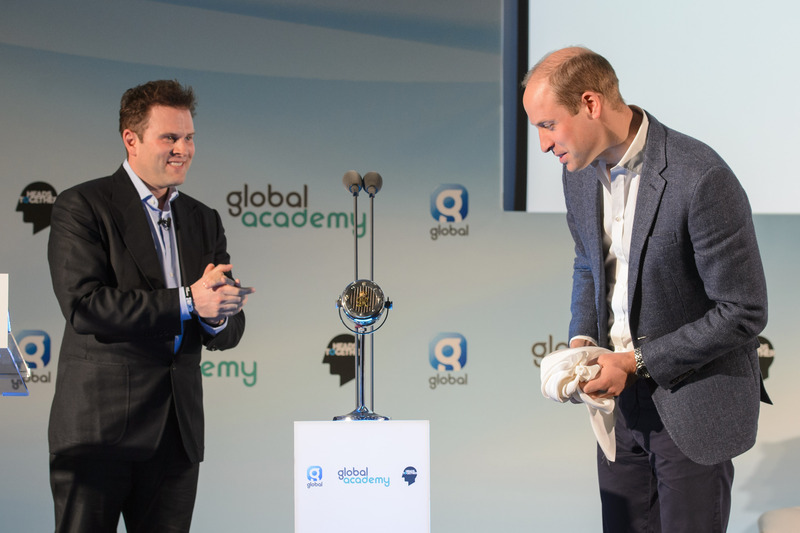 Finally, Prince William declared Global's Academy officially open, unveiling the original microphone that was commissioned for his great grandfather, King George VI. The event has also been used to raise awareness for the Heads Together campaign focusing on opening up the discussion around mental health and getting rid of the stigma surrounding the topic. You can read more about the work of Heads Together here.